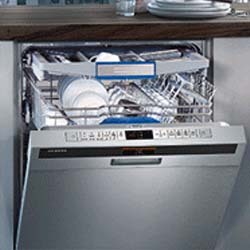 The Applianceman Service provides expert high-end appliance repair throughout Dublin Ohio. 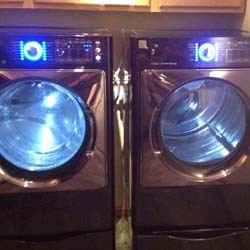 We ensure that our residential appliance repair jobs are done beyond the satisfaction of the customer. We promise white-glove service! Your appliances will be fixed by the best technicians in Central Ohio! Our locally owned and operated small business stands out against all the others in Columbus because we focus on our community and execute our high-end appliance repair service with expertise. We love referrals, so therefore we only provide the best repair service! Our one-on-one service with our customers keeps them coming back every time. 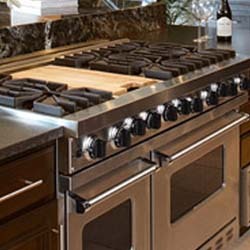 Dublin Ohio Deserves The Best Appliance Repair Services! Dublin, Ohio, USA offers residents and corporate citizens responsive government services, attractive housing, superior public education, direct regional highway access, abundant park space and a dynamic community life. Located just minutes from Ohio’s capital City of Columbus, Dublin is a desirable place for business, raising a family or enjoying professional sporting events and renowned attractions. We Fix all Types of Appliances! Proud to Be Your Dublin Ohio Appliance Repair Specialist! We are proud to be your appliance repair specialist ! There are many great citizens of this community and we are happy to provide outstanding kitchen repair, refrigerator repair, microwave repair, range repair, stove repair, and all other appliance repairs to each and every individual! There is no appliance we cannot fix! If you call us, then rest assured that your appliances will be running again the same day! Applianceman has been a staple in the Greater Columbus region for more than 30 years. Homeowners continue to rely on the unmatchable knowledge and abilities of our highly trained technicians. We’ve built an outstanding reputation based on our commitment to fixing it right the first time. In addition to Dublin, we travel throughout the Columbus and central Ohio suburbs. If you have a broken appliance, then we will come out and fix it! Our certified and experienced appliance repair service repairmen eliminate all the worries about your kitchen or laundry room. Our procedures keep your home appliances in top shape! If you want your appliances fixed today, then give us a call and will do it! 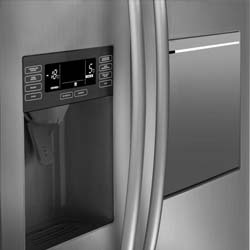 Applianceman is an expert in appliance repair and maintenance the many brands. Please call us to find out if we are able to fix your particular unit. The service was timely, although he had to come two times to complete the job since he did not have the correct part with him the first time. When he got the part, he did come back as soon as possible (even called to see if it was possible to come earlier in the day than scheduled). The repairs came in below the estimate, and we were very satisfied with the work. Very polite people, which means a lot in this hurried world. Andrew had recently worked on an ice maker which was successful. So when the oven would not heat, I again called the Applianceman service and asked for Andrew to be the service technician. Upon his arrival, he promptly moved to the problem. Andrew had the part in his truck and within about 45 minutes there was heat in the oven. Andrew demonstrated skill and knowledge as he assessed the problem from my description. My second experience was as good, if not better than the first. Congratulations to a solid company and, most certainly, a quality technician. Our asko dishwasher stopped working after a kitchen sink drain backed up. We called on monday and made a service appointment for wednesday afternoon. The company called ahead to advise us the service technician was on his way and he arrived as scheduled. He immediately diagnosed the problem (water build up in the bottom of the appliance triggering it to stop supplying fresh water). He told us how much the repair would cost. He took the dishwasher apart, drained the excess water, and the dishwasher is now working properly again. Tech was brook. He was very honest. Andrew is awesome. He is very professional and polite. He has fixed some of our other appliances on other service calls. He is very knowledgeable and quick.